Perfect for baby and children. Activity board: picture house, play phone, spinning balls adjustable size and shape. Swinging hinged doors with safety lock. 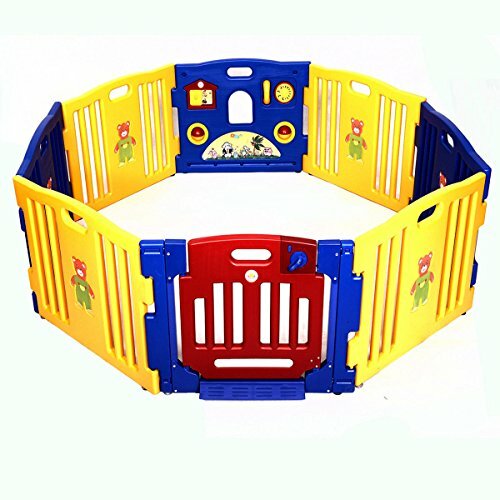 8 panels that are interchangeable to increase or decrease playpen size or shape. Built -in activity board that features a picture house, spinning balls, and play phone.